Well that is not exactly what I said. I have ordered a new side but with the holidays, it might be Thursday next week before I get it. Meanwhile the Jack Duckworth look will be the fashion of the week. 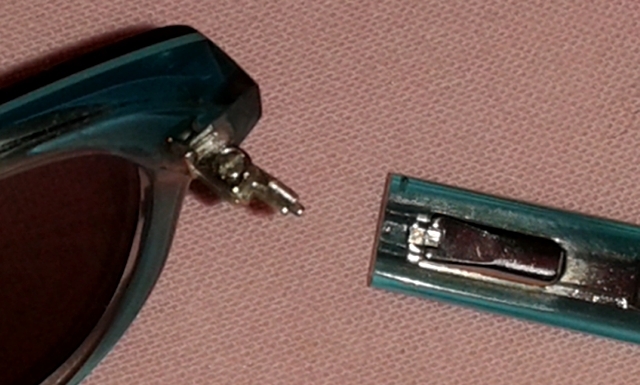 This entry was posted in Crafts and tagged Broken glasses, Crafts on July 8, 2015 by Grannymar. 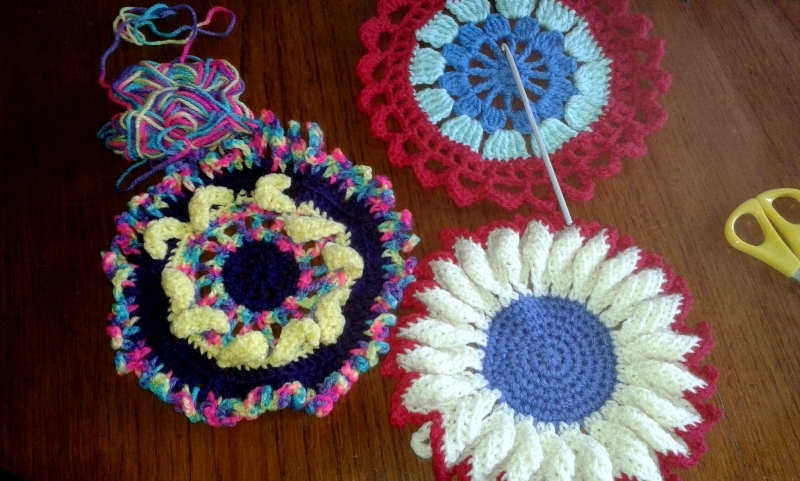 Love the crochet doilies, especially the red, white, and blue ones. Me too, Brighid, I need them for driving. 🙁 The red, white and blue is my favourite so far. They are my sunglasses with a prescription for driving so rather important. I am hav ing fun with the circles. Oh, I do like your crochet circles! I’m sorry about the broken glasses though, I’d be quite lost without mine. I have no less than three pairs of sunglasses, I’m so terrified of being without! I already lost a pair earlier in the year and may well need to change these after surgery, so I am notprepared to buy another pair right now a new side will do. I have a spare pair without prescription, but I need the broken ones for driving. A little sellotape can hold them together until the new side arrives. It is only my glasses, it could be worse … I have not lost my eye. I am imaging the red white and blue as the beginning of a much larger item, time will tell.